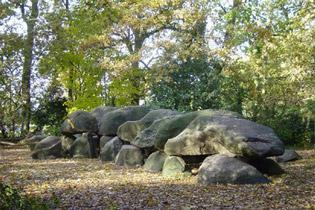 Idyllic country villages, prehistoric megalithic burial chambers and quiet lakes are strong supporting roles. 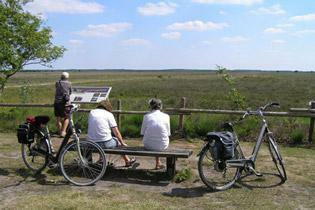 Story lines tell of prehistoric Drenthe, of peat digging and sheep herding, of WWII and of modern nature management. Rural Drenthe Province, in the north east of the Netherlands, has an enviable network of cycling paths and beautiful scenery to go with it. This tour is especially recommended for August - beginning of September when flowering heather plants light up the dry grassy sand plains and the heath turns a lovely mauve colour.